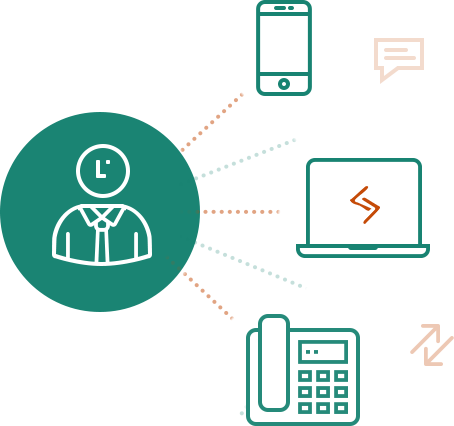 Easy-to-use billing platform aimed at automating standard billing tasks of Retail VoIP, MVNO, and OTT Providers. Get A Better Experience With Our Billing Components! Whatever your retail customers’ needs are, you will find the right service with the JeraSoft Billing Platform for Retail Telecom Providers. The basic retail module provides such services as End-user retail, Hosted PBX, SIP Trunking and more. We bundle our extensive telecom billing software with the advantages of Enterprise Telephony, OTT and MVNO usage for both business and individual users. With Dynamic Routing module, efficient route plans and truck capacities take mere minutes. The JeraSoft Billing Platform for Telecoms provides an automated management of routes and even goes far beyond the LCR Routing. 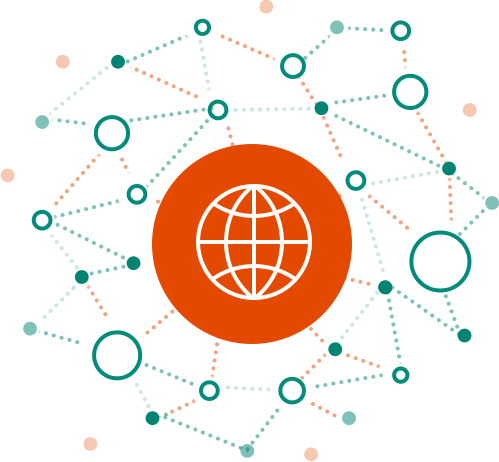 The choice of dedicated routing policy for specific customer or destination is at your disposal, as well as, a wide range of supported routing policies. Do you want to manage each of calls affecting the rate and taxes according to USA and EU regulations? The jurisdiction influences on taxes and rates for local and long distance calls. Thus, the JeraSoft Billing Platform offers a fully integrated software with Jurisdictional Billing Module, that takes into account both A# and B# rating, routing and billing with taxes. Have issues with resolving monetary disputes? CDRs Disputes Module is a full-featured add-on of the JeraSoft IoT and Telecom Billing Platform. It’s designed for a dispute resolution between customers or vendors in the shortest amount of time and with very little effort. Clear visualization of all differences and coincidences per each call, results filtering make your work much easier! There is a well-known saying: “Where there’s a will there’s a way”. Jerasoft really wants to help their clients meet their needs and join them in business. It is their mission, and JeraSoft seeks ways to make extraordinary billing solutions. Practice is the criterion of truth, and practice says that working with JeraSoft makes Musurit well. VCS provides an easy-to-use, reliable telecom billing solution for all Manor’s billing and reporting needs. Functionality is easy to navigate, reports are swiftly delivered, and, above all, the stability of the system is impressive. All fast-paced companies need support systems that they can take for granted so that maximum energy can be directed towards growth rather than dealing with back-end issues. JeraSoft Billing Platform allows us to do this. We were in desperate need of some good billing software. We tried at least two solutions but none of them come up to the mark. The critical nature of the telecom business requires a perfect online system. We must be sure that what our billing is accurate. We at Quantum Global Communications, Inc. found what we were looking for with JeraSoft VCS. Thanks to JeraSoft VCS which lets us our sleep easier! Muhammad Kashif, Quantum Global Communications, Inc.
We needed full-featured software from the very beginning, as we understood the necessity to expand our business and didn’t want to switch to another software in a year. To be honest, it wasn’t an easy task to pick a solution, but the one we’ve chosen, and, hopefully, been using ever since, is a good example of what I like to call the right decision. We’ve made our choice in favor of JeraSoft’s billing software for its productivity, the possibility of clustering, as well as a ready solution for integration with softswitch. VCS server is a very powerful tool that has changed the way we view outgoing VOIP traffic. Reports and alerts are now much easier, readable and editable with just a few clicks. Working with JeraSoft VCS is easy and convenient once you know how. This billing solution works for Fring. Thanks! The most amazing thing about JeraSoft VCS is that by working with JeraSoft Support we managed to customize the billing system to our needs and make it perfect. Their technical support is amazing, the guys are great, and they respond lightning fast to our tickets. I think by maintaining this quality of service, JeraSoft will make VCS the #1 telecom billing system. Titan International Wholesale is definitely a happy customer, and we recommend it to our partners. Christian Miller, Titan International Wholesale, Inc.
To make a productive working relationship with partners, the key ingredients are the ability to respond accurately and quickly to any issue, meet deadlines, and organize tasks effectively. In this regard, NordConnect greatly sympathizes with the JeraSoft team position. By submitting a request to the support service, within 5 minutes we observe activity on the system, and within 10 minutes – a response with the issue solved! Fill out this brief form with a few details and we'll get in touch as soon as it possible. We are here to make your business stable and profitable.